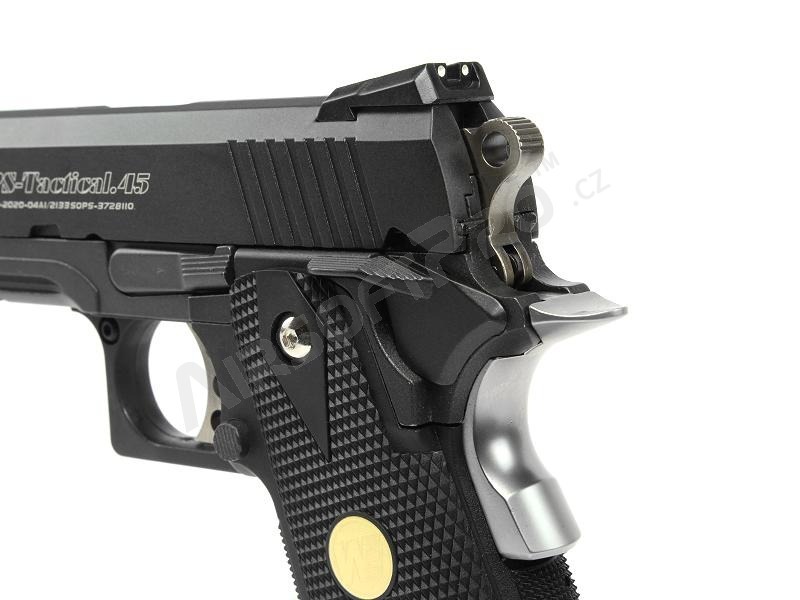 The WE 4.3 Hi-CAPA OPS is fully upgraded. 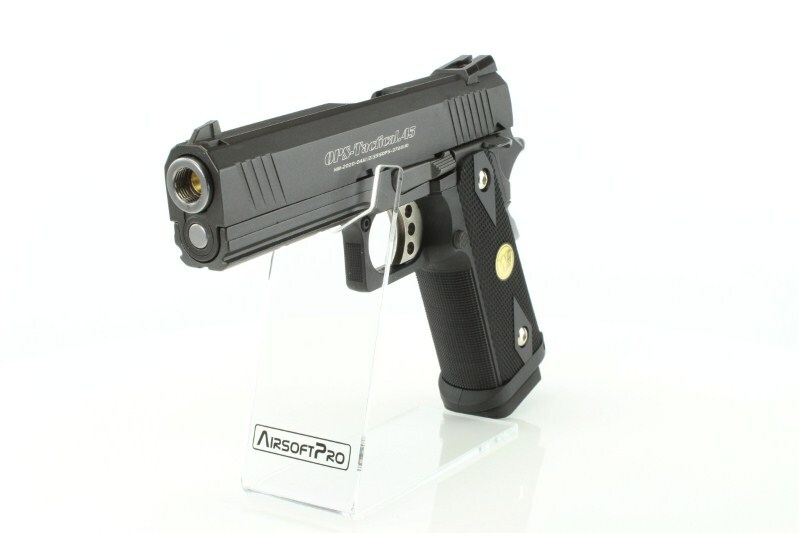 It has a short slide for maximum speed and efficiency. 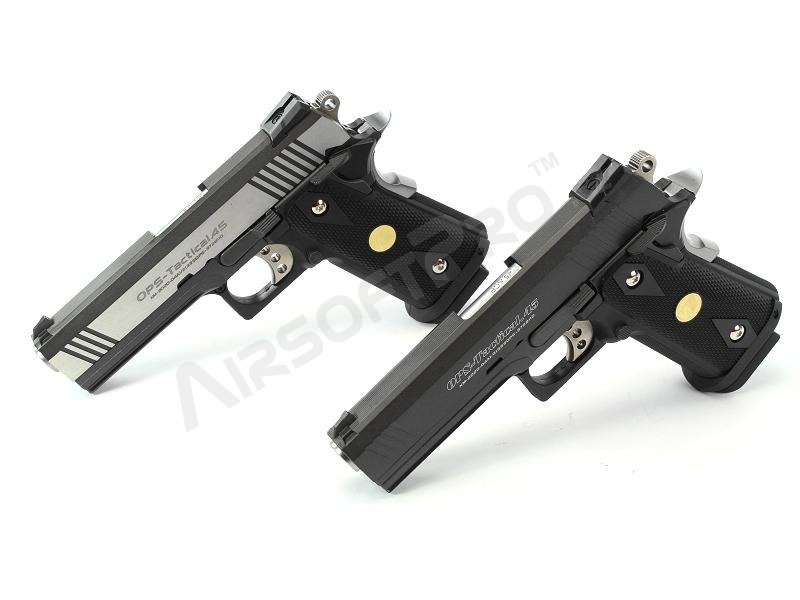 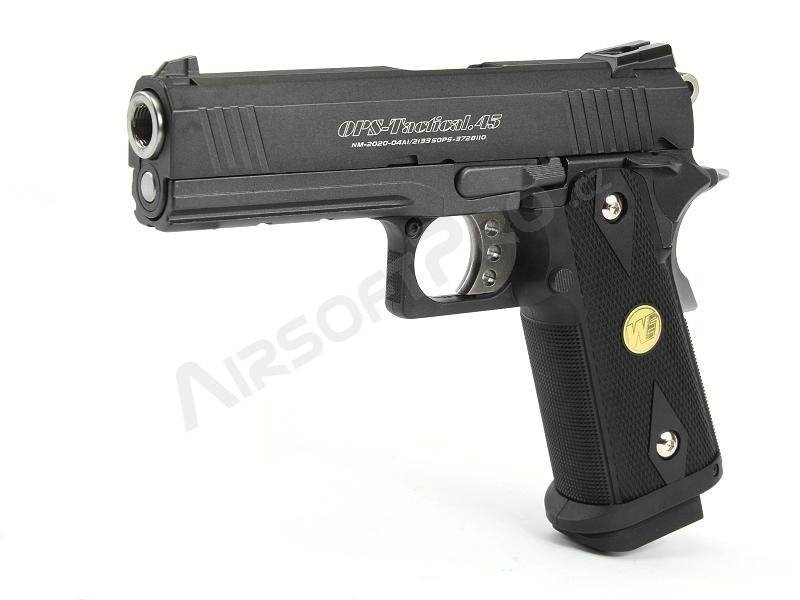 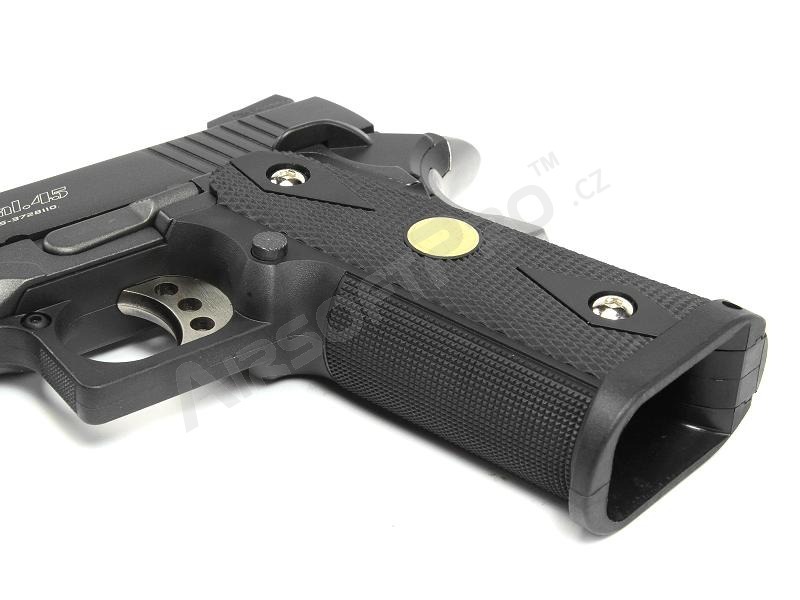 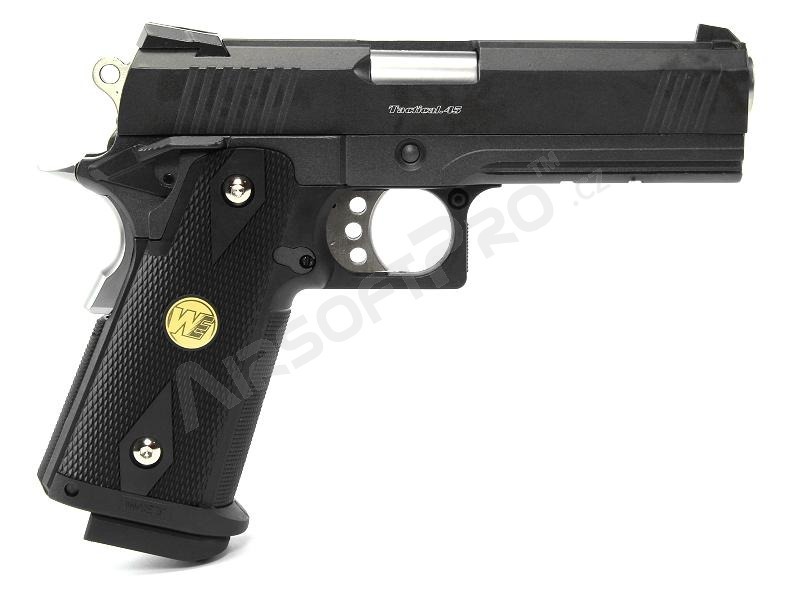 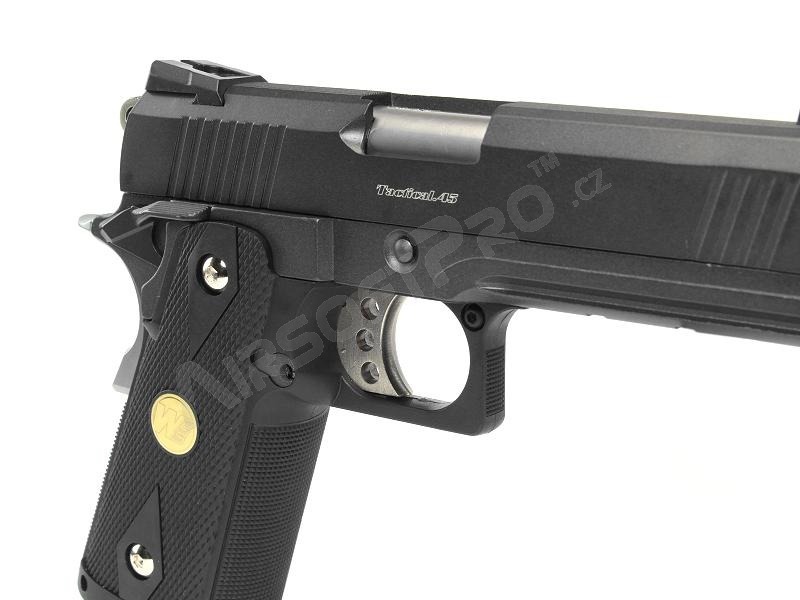 A Durable Metal Slide and frame will allow this pistol to keep going and going. 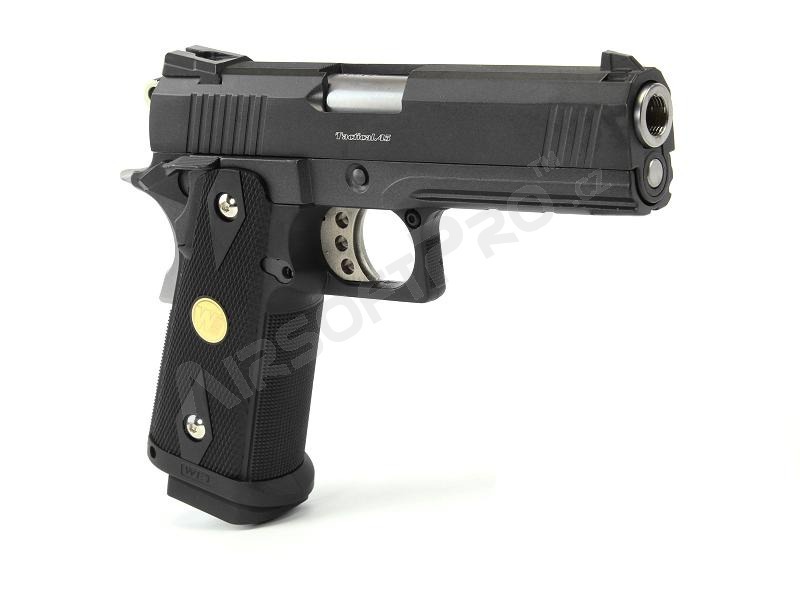 Reinforced metal parts include outer barrel, chamber, recoil spring rod, slide stop, safety, hammer and trigger. 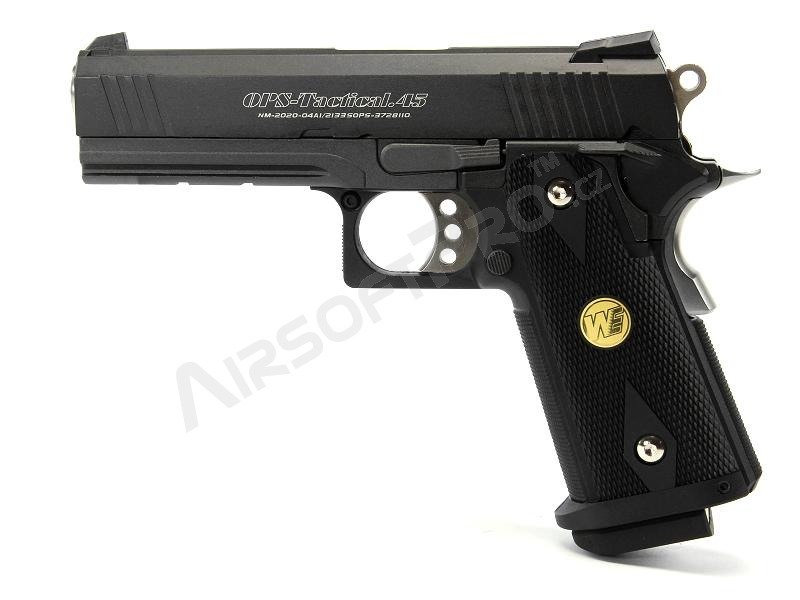 Internal upgrade parts include reinforced recoil spring, hammer spring, firing pin, and extreme high flow valve.